Kopi or Coffee is the oldest beverages other than wine and beer in the world. Coffee plant was first recognized in Ethiopia, Africa and since has grown too long in Bali, South America, Sumatra, and Java, so there is a program or piece of software called the Java logo on a cup of steaming coffee. It looks like the inventor of the Java program is a true coffee connoisseur, and shouted eureka find success because the program, and all thanks to a cup of coffee. As a sign of gratitude, he made ​​Java coffee as a logo. The logo has been phenomenal, and we find in our computer. Coffee is not only growing in Java, as well as delicious coffee can come from Vietnam, Cuba, Thailand, Uganda, Columbia and Bali, the island of paradise. 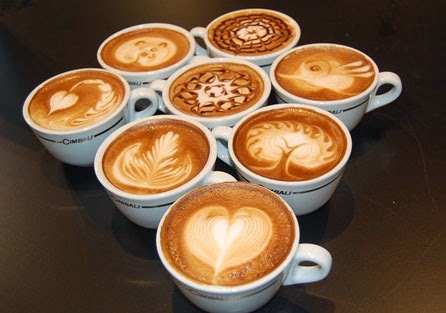 If you are a coffee connoisseur, the radar in the hearts of coffee lovers always leads to a new coffee shop or cafe. In the end you will be a regular customer at one or two particular coffee shop. 10 years in the coffee business is growing very rapidly, both local coffee shop, coffee shop franchises nationally and from abroad, but the traditional coffee shops still loved by the old customers and new customers. Aroma and coffee variants also evolved, from instant coffee to real coffee, white coffee, organic coffee and exotic coffee called Kopi Luwak.